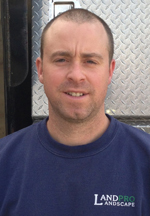 Matt Bernard started LandPro Landscape in 1994 as a teenager while still in high school. 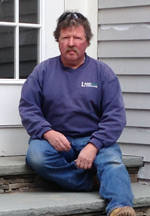 He is currently president of LandPro Landscape and in charge of all major aspects of day to day operations. Upon graduating high school he began to work full time on developing LandPro. After two years in the field, Matt realized that he needed to further his education in order to better serve his growing client base. In 1998 he enrolled in Stockbridge School of Agriculture and graduated in 2000 with a Degree in Landscape Contracting and Design. With degree in hand, Matt began to focus his efforts on designing and installing quality projects with outstanding service. In 2001 he added the Design/Build Division which encompasses all aspects of landscape, from lawn installation and maintenance, to full construction of outdoor living spaces that may include patios, walls, outdoor fire pits, water features and more. Matt takes great pride in each and every project as if they were created for his own home. Bobby has been a key employee at LandPro since he started with us in 2012. He brought with him a vast knowledge of ALL aspects of the landscape industry. Bobby also brought with him a knowledge and high level of skill in Natural Stone Masonry, allowing for the creation of a new Division at LandPro which he currently manages. Bobby worked for many years with a leading hardscape/masonry company completing high-end projects in Boston, Wellesley, Newton, Harvard and surrounding towns including the Harbridge House on Commerce Ave. and The Museum of Science. During his 20 years in the landscape/hardscape business, Bobby has worked one-on-one with homeowners, designers, contractors, architects and suppliers to complete some of the most beautiful outdoor living spaces imaginable. In his personal life, he has achieved no less. Bobby has been married to his wife Jacqueline since 1987 and together they have created a beautiful family. Bobby and his wife are the proud parents of two great daughters and are both very proud grandparents to one beautiful granddaughter. They are currently anxiously awaiting the birth of their second granddaughter.